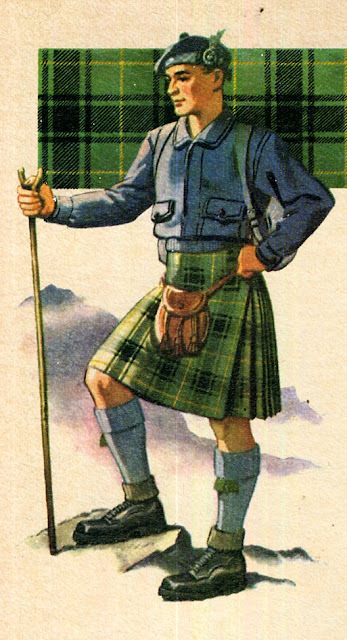 Today I will venture into dangerous waters, discussing Scottish Highland attire. 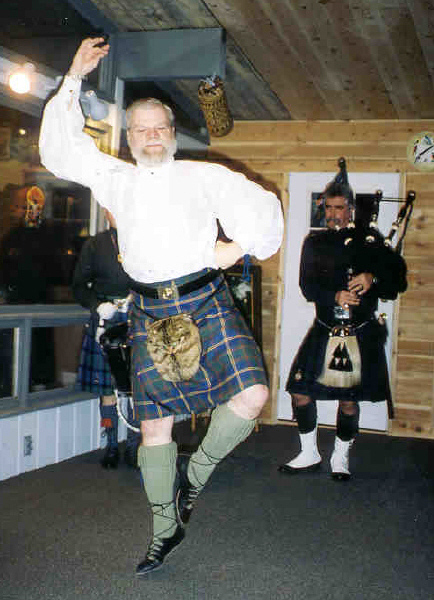 There are many dearly held beliefs concerning the kilt and tartan, not all of which are correct. First to establish my own credentials; I am of Scottish descent [Murray, Lindsay, and Kelton] on my mother's side, and have a direct ancestor who fought at Culloden, was taken prisoner by the English, and later exiled to Boston. 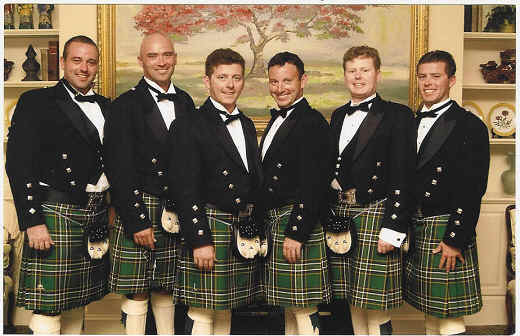 The photo above is of our local Scottish Country dance group here in Omaha. This brings up a point which i have not yet addressed, which is the use of the word 'costume'. I have chosen to use this word because in many languages it is neutral, but there are those, the Scots among them, who object to it. This is because 'costume' can also have the meaning of dressing up in a way which is not usual. Clowns wear costumes, people who act in a play or movie wear costumes, sometimes those who participate in a traditional ritual [Halloween, Carnival, mummers, brides, etc] wear costumes. Many people, and not just in English, prefer to speak of folk or traditional dress or attire. This emphasizes that they are referring to a normal type of dress. In this usage, 'folk costume' would refer to carnival dress, or someone dressing up as 'the Green Man', or other attire which is only worn for specific occasions, of which there are many examples around the world. The Scots are very unusual in that the traditional woman's attire has been lost, and the men's has been retained and is in widespread use. It was banned for a time by the English government, but kept in use by the Scottish Regiments in the military. 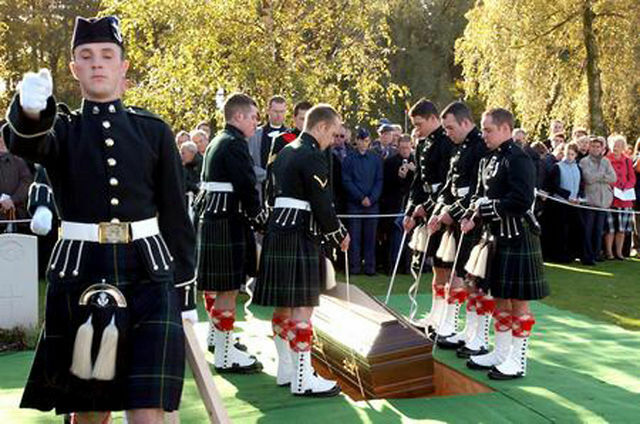 That law has since been repealed, The tradition of the kilt was saved by the military, and the kilt remains a very strong part of Scottish national identity. 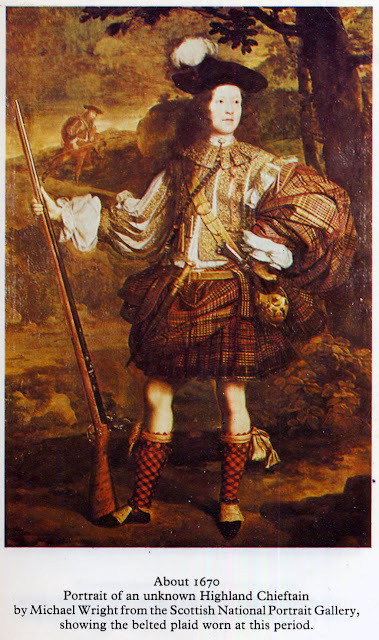 There is a belief that the kilt is an ancient garment, but this is not the case, it dates back only to the 16th cent. The ancient Celts wore trousers, but they had stopped being worn at some point both in Scotland and Ireland before the 16th cent. The Kilt began in the scottish highlands as a cloak, worn over a linen shirt which stopped above the knees. It became larger, and began to be belted in pleats around the waist, with overlapping flat areas in front, and the upper part either tucked into the belt, or worn over the shoulders and head, It was also used as a bedroll, and folds could be used to carry various items. This is today referred to as the Breacan an Fhéilidh, Breacan Feile, or the Great Kilt. This was worn both as everyday and formal garb, but was generally laid aside for battle. 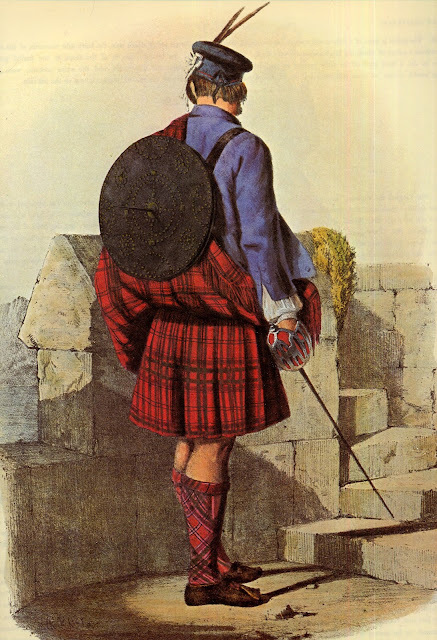 Somewhere around the year 1700 or so, the Great Kilt was cut in half horizontally, the top half being retained as a cloak, or plaid, and the bottom part having the pleats sewn in at the top and being set into a waistband. 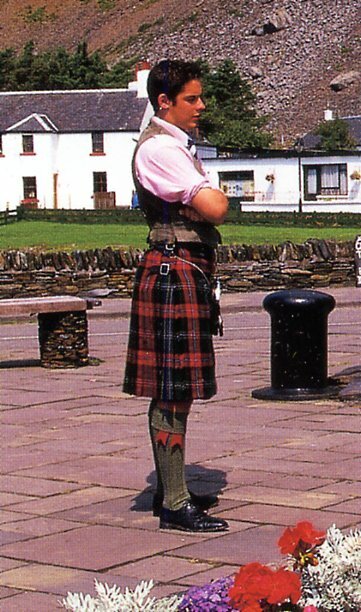 This is known as the fèileadh beag, or phillabeg, the small kilt. There are various competing stories as to how this happened, I will let you read about it elsewhere. 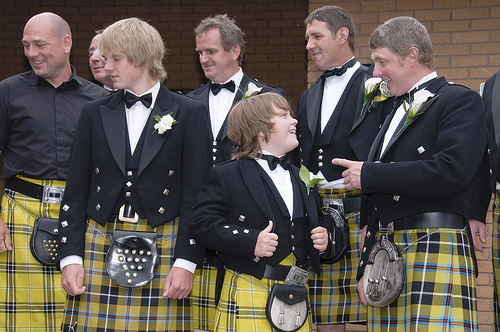 The modern kilt is deceptively complex in its structure, which is why it is usually made by professional tailors. I had mine let out once, and the tailor told me she never wanted to see one again. [Folkwear does indeed have a pattern which explains in detail how to sew one, so you may try if you wish]. The pleats are only on the back and sides, and the front part, the aprons, wrap over each other, the left side overlapping the right. It is never pleated in front. The pleats are sewn down to the point where they hang freely, and are gently curved to fit. 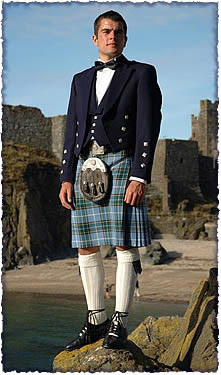 One important point is that the kilt is worn at the natural waist which is higher than the hipline where pants are worn. 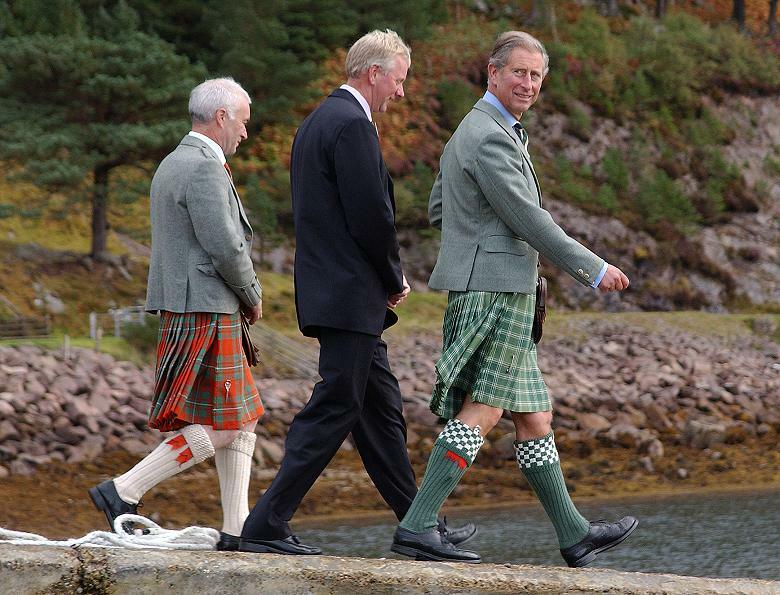 This is a common mistake made by men who are not used to wearing the kilt, especially outside Scotland. 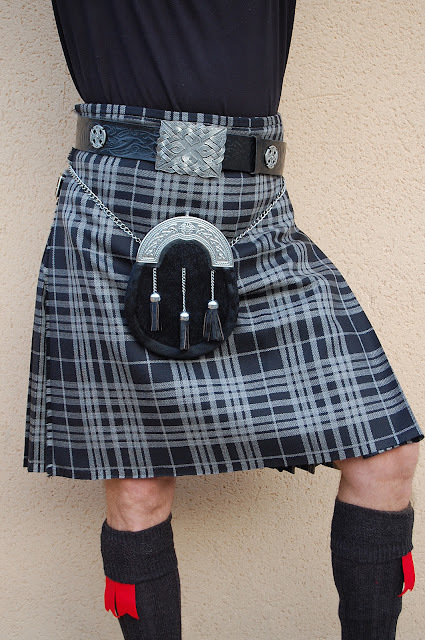 Likewise, the hem of the kilt should not fall below the middle of the kneecap. 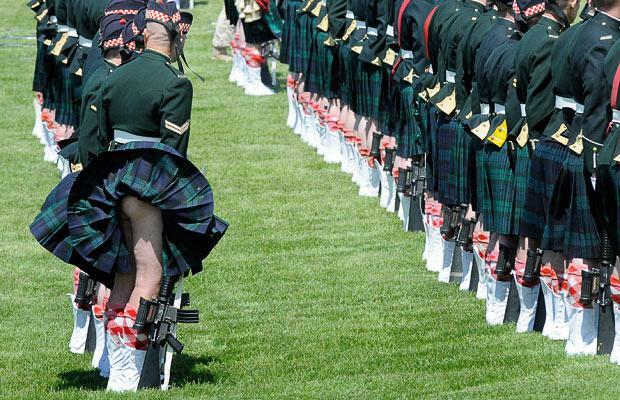 Compare the two images below who are making this mistake with the two above, who are wearing the kilt properly. 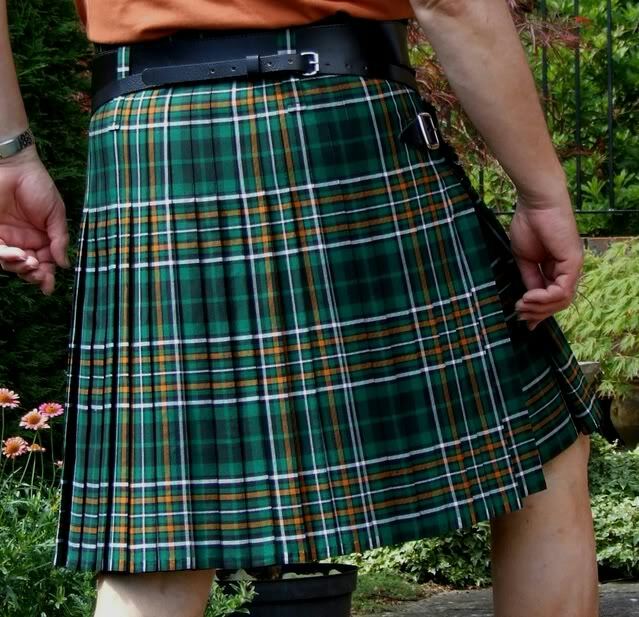 The kilt is normally sewn of Tartan, although solid color kilts are known. 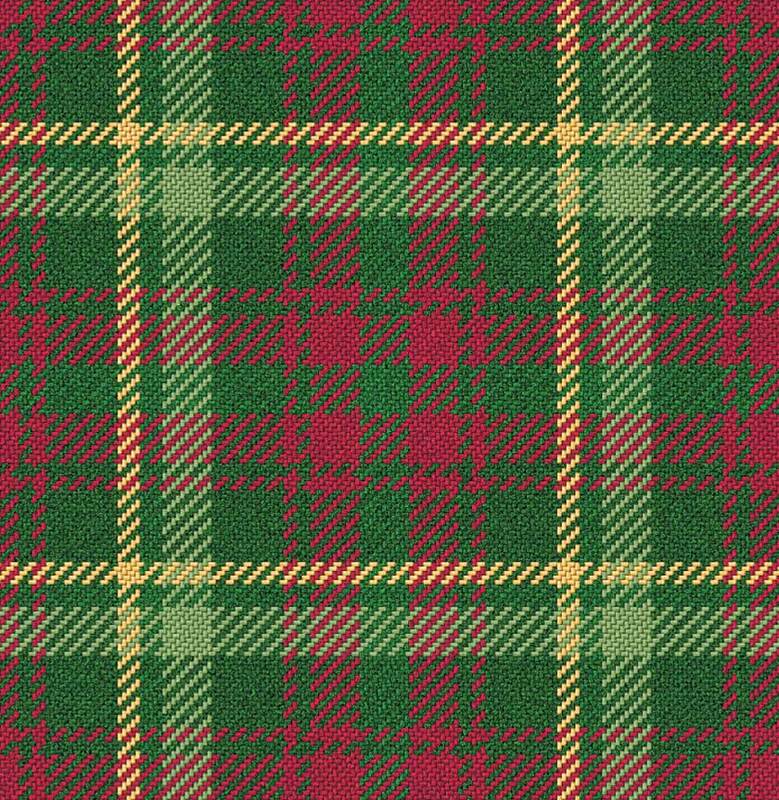 Plaid fabrics have been woven by Celts for two thousand years or more. 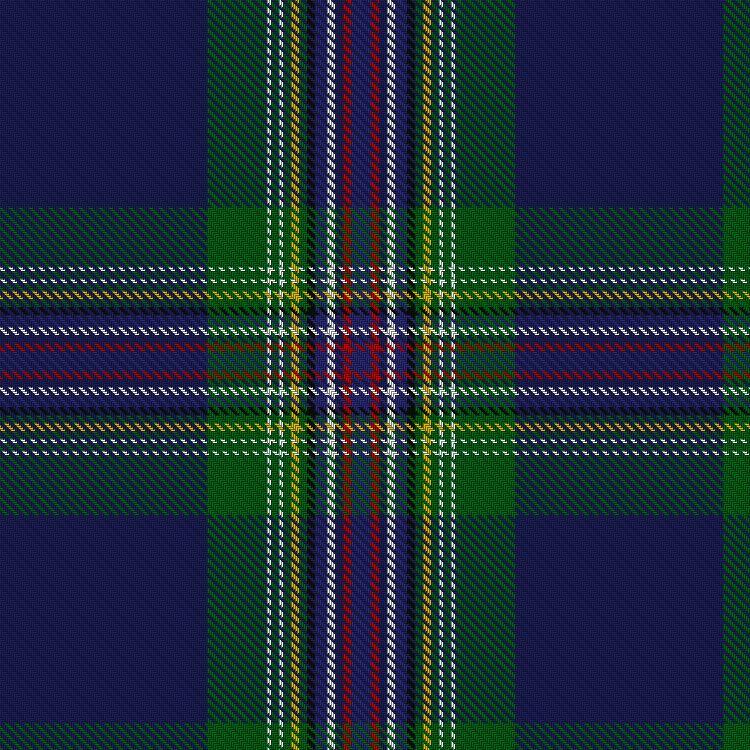 Today's tartans are exactly prescribed as to pattern, many have a long history and strong association with a particular clan or other group, and new ones are being designed all the time. The most famous is the Royal Stuart, which technically belongs to the Royal Family, but is used in many places. 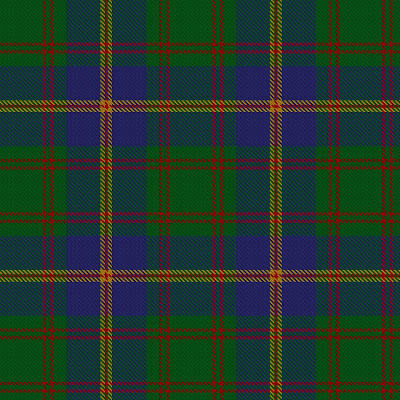 There are tartans associated with particular Scottish clans, there are others which are associated particular districts or Scotland in general, There are yet others which were designed to represent Ireland, Wales, Cornwall, Military Regiments, American and Australian States and Canadian Provinces, among others. 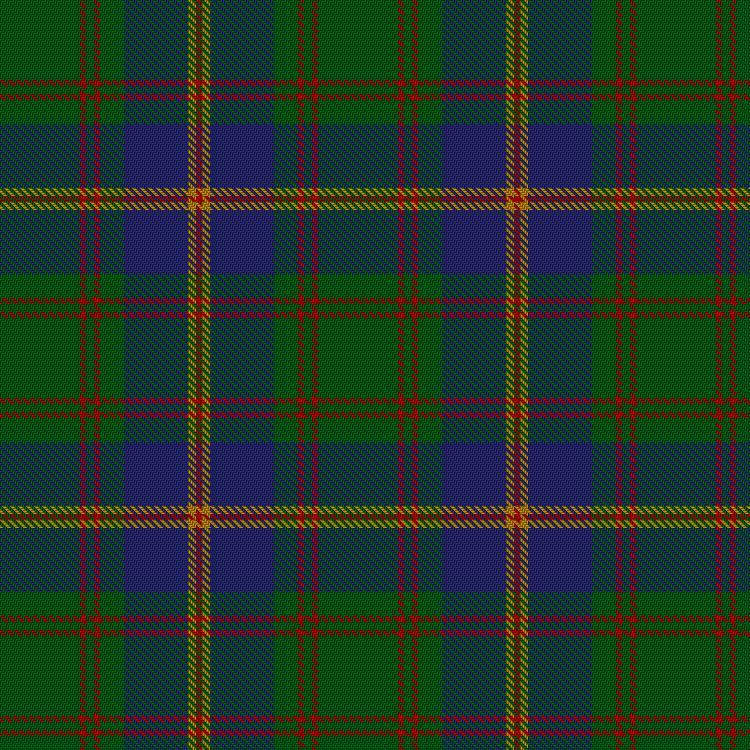 One of my favorite tartans belongs to the US Marine Corps. 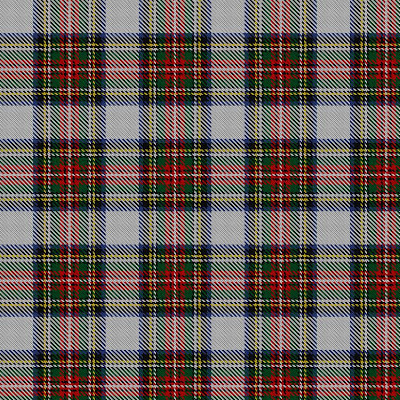 A Clan may have more than one tartan, and a tartan may have more than one form. 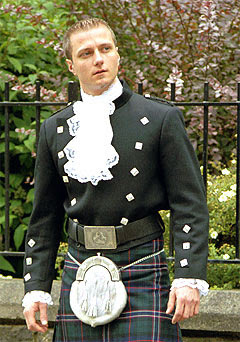 For example the Royal Stuart tartan has a 'dress' form. 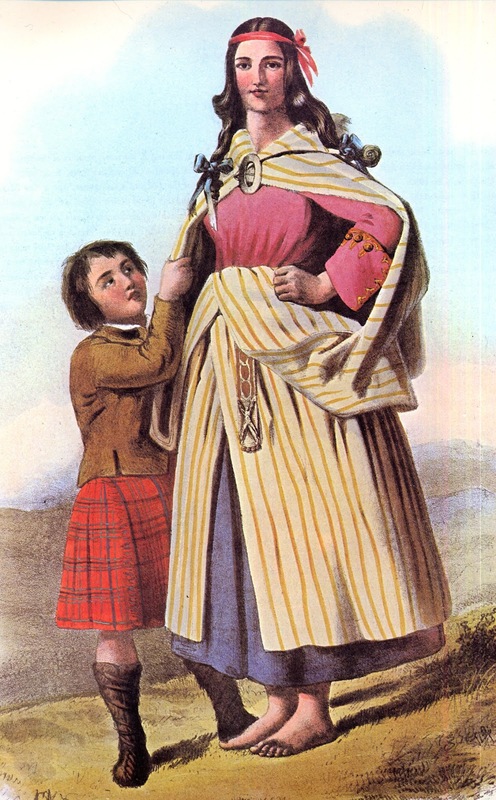 In the 'dress' tartans, the background color is generally replaced with white. 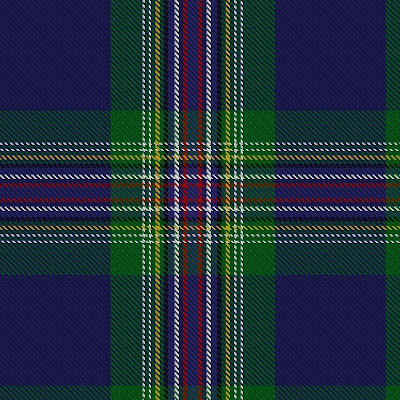 A particular clan may also have a 'hunting' tartan, which has more subdued colors, so as not to frighten the game. 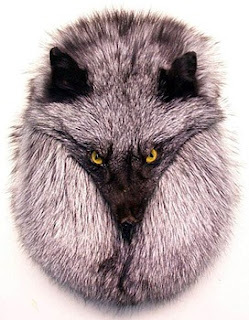 It may be a variant of the same tartan, or it may have a very different sett. Here is the 'hunting Stuart'. 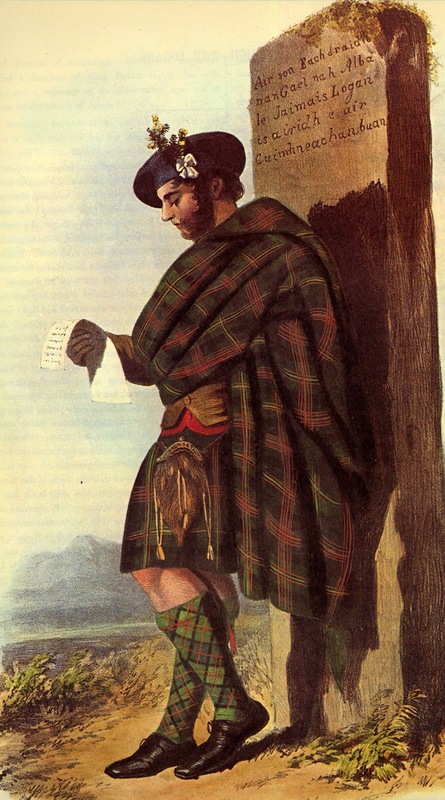 Many tartans have a rich history, and are considered today to be a symbol of a particular clan or other group. Each clan also has a crest, which is worn on the bonnet, and a plant badge, which is the oldest symbol of the clans. A sprig of the appropriate plant was worn in the bonnet for clan identification. 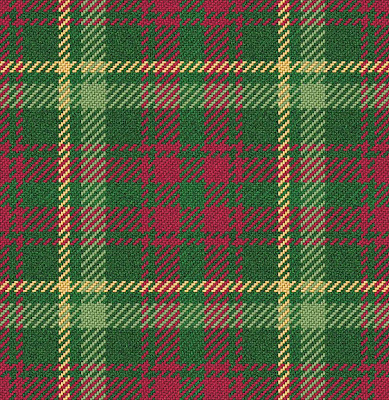 In addition, every tartan is potentially available in three color schemes, the 'modern', the 'ancient', and the 'weathered' sometimes called 'muted'. The 'modern' is the older type, consisting of darker colors. 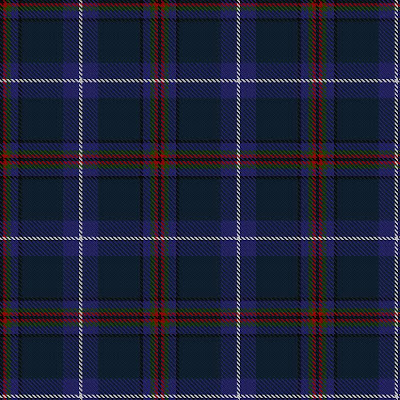 The 'ancient' is a newer type, consisting of lighter colors, and the 'weathered' is an attempt to copy old faded tartans, blue being replaced by gray, green by brown, etc. In actual fact, colors do not fade in this manner, black is usually the first to fade. 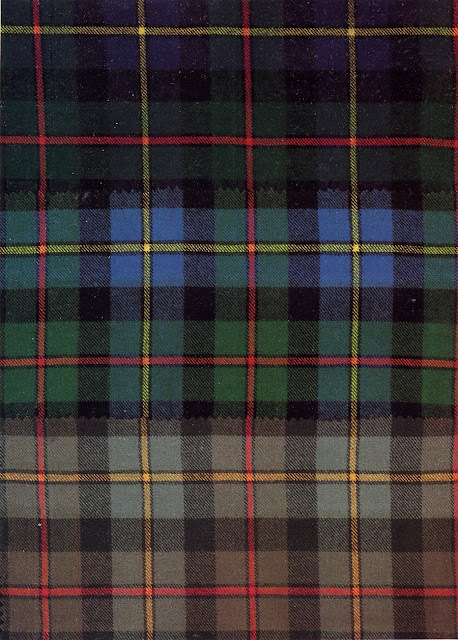 These are NOT different tartans, they are all the same tartan, just the shades of the colors are different. Here is the green MacLeod in 'modern', 'ancient', and 'weathered' colors top to bottom. 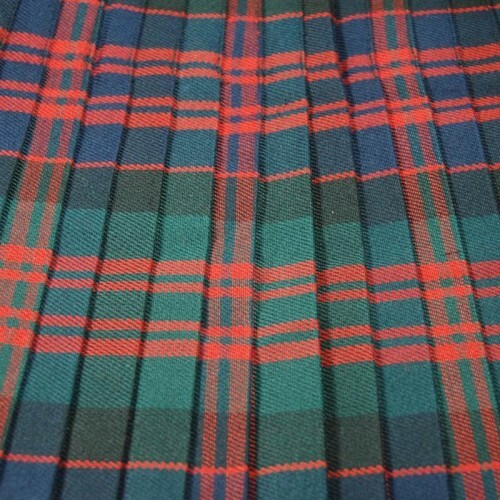 Which color scheme you wear is a matter of personal taste, if a tartan has much blue black and green, often they show up better in the 'ancient' colors, but if a tartan has much red, the 'ancient' colors replace the red with orange, which in my opinion is not as attractive as the 'modern', which has a strong red. When pleating the kilt, there are two options, the more common is 'pleating to sett', in which the pleats are arranged so that the pattern, or sett of the tartan is maintained across the pleats, as in the above two photos and here. 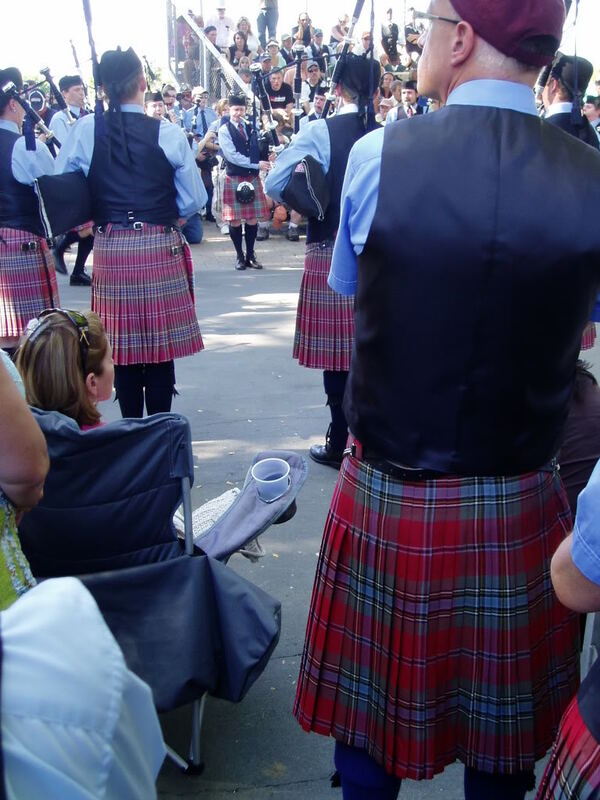 The other option is 'pleating to stripe', which is most common among military uniforms and pipe bands, in which one of the vertical stripes is always hidden in the pleats, and only visible when movement makes the kilt flash the hidden stripe. Here we see both in the same photo. 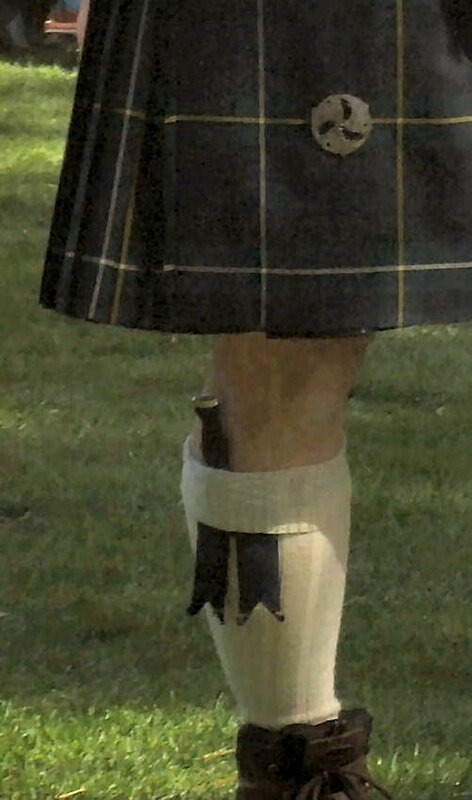 You can see that the kilt is held closed by one strap and buckle on the left, and two on the right. 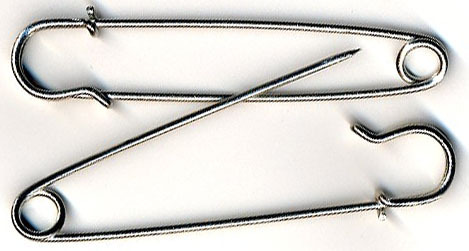 A pin is always worn on the bottom right of the top apron. The story is that Queen Victoria was reviewing the troops on a windy day, and insisted that the aprons be pinned down. 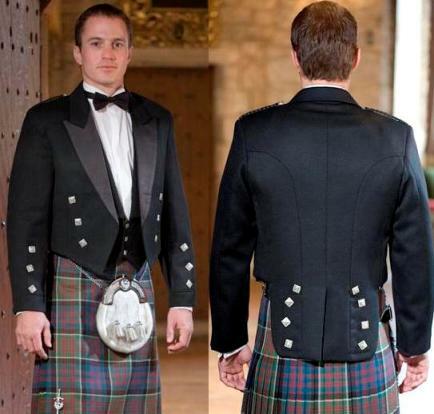 Generally however, the pin is only attached to the top apron so as not to hinder the hang and waggle of the kilt. 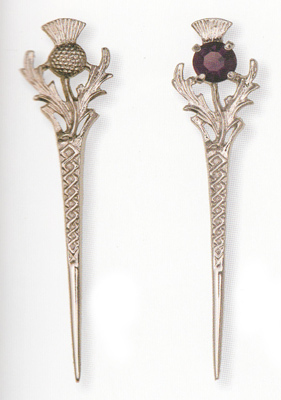 The pin is made in many shapes, often as a sword with a clan badge attached, it may be a simple large safety pin, or it may be quite ornate. A wide belt is usually worn with the kilt, although it actually plays no part in supporting it. This is required for formal occasions, but may be omitted for everyday dress. The buckle may be ornate or plain. It is often rectangular, but may be round. 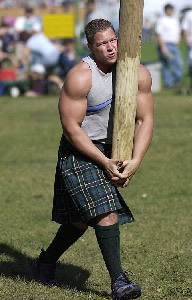 Unless participating in Highland games, a sporran is generally worn with the kilt. This is a purse for holding keys, money, etc, because a kilt has no pockets. 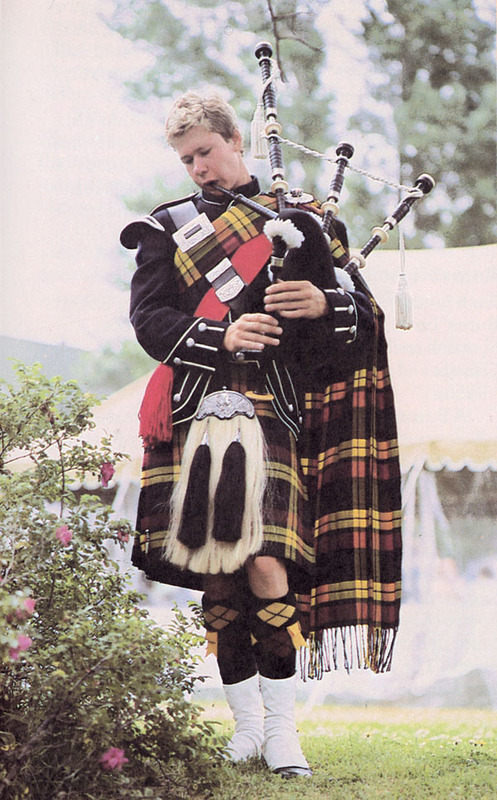 Most people think of the long-haired piper sporran first, but this is not commonly worn by most people. For everyday wear, the sporran is generally of leather, and is secured by a leather strap which passes through the same loops which hold the belt. For more formal occasions, the sporran is of fur, and the sporran is connected by a chain to the strap in back. In either case, the sporran usually has three tassels hanging in front, the meaning of which i choose not to go into. Commercial sporrans are usually quite narrow and somewhat impractical. More practical are somewhat bag-shaped sporrans, as shown in the third image above, but these tend to be more casual looking. Sporrans come in a wide variety of types, one of which is made from the whole skin of a small animal with the head still attached. 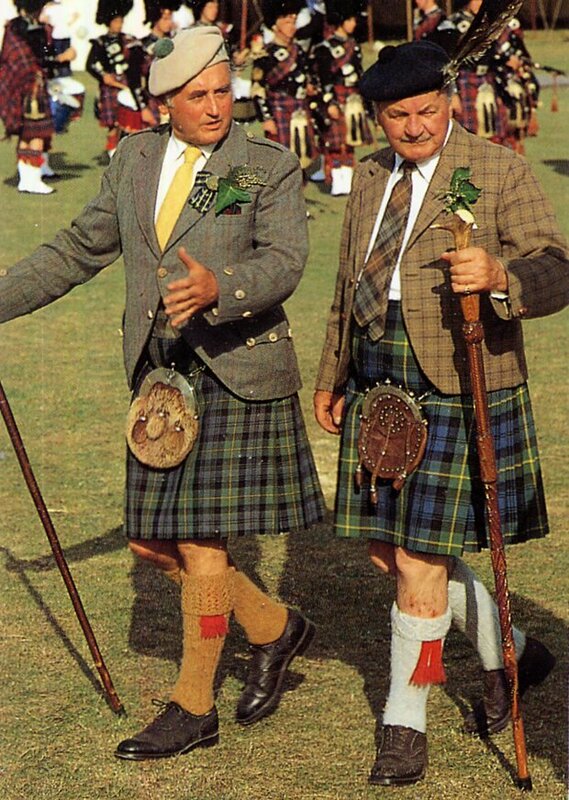 Knee socks, or hose, must be worn with the kilt. They very from utilitarian to dressy, depending on the occasion. They may be in many colors. They always fold over at the top, and are held up by garters, of which only the flashes show beneath the fold. 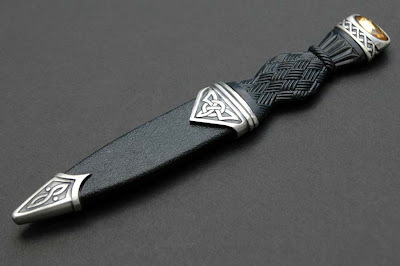 A small knife, the skian dubh, may be worn tucked into one of the stockings. These come in a wide variety of designs, from rustic to formal. Shoes of many types are worn, depending on the occasion. As for the upper body, again almost anything may be worn, from nothing to a t-shirt to a formal dress jacket. 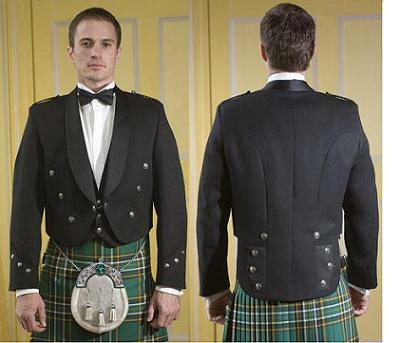 One word of warning, jackets to be worn with kilts are tailored shorter than 'Saxon' jackets, not falling below the line where the kilt pleats open. You can see this by comparing Charles above to the man next to him in 'Saxon Clothes'. 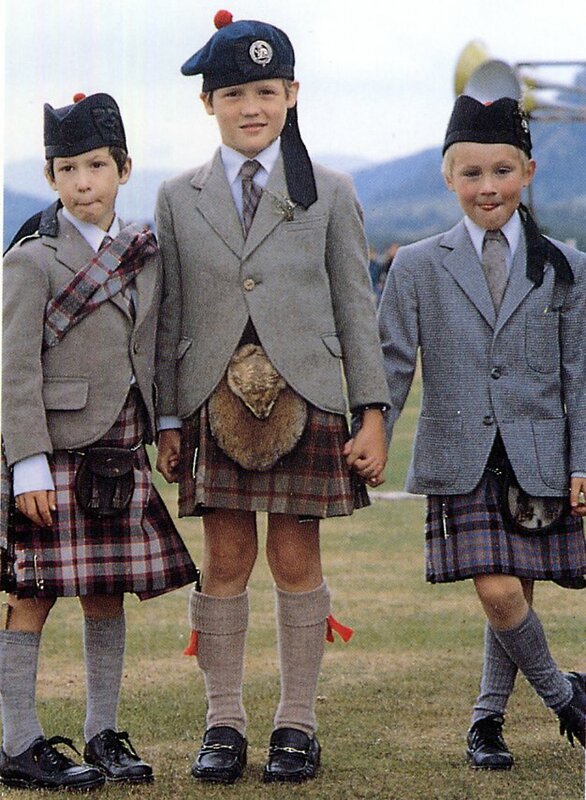 Here is an unfortunate lad wearing a 'Saxon' jacket with a kilt, on the right. The boy in the middle has outgrown his kilt, but they are expensive. 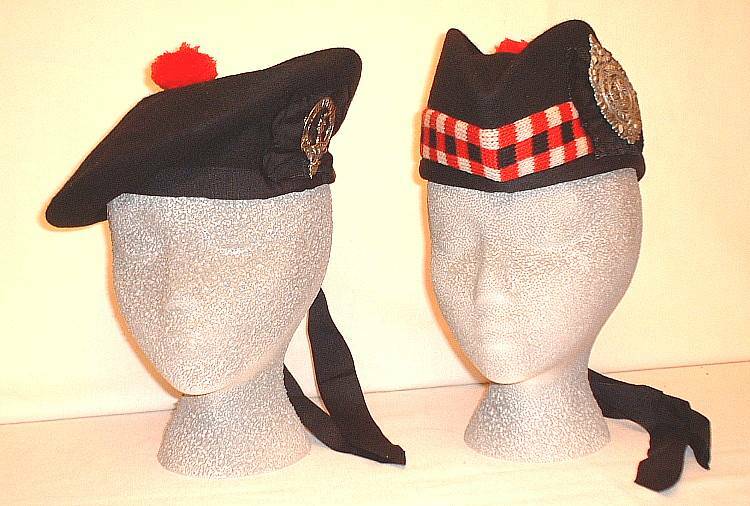 There are two hats traditionally worn with Highland attire, both called 'bonnets'. Here we see the Balmoral on the left, and the Glengarry on the right. See the other images in this article as well. 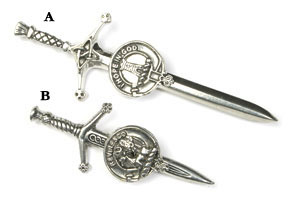 You will also notice brooches with clan crests pinned to each. 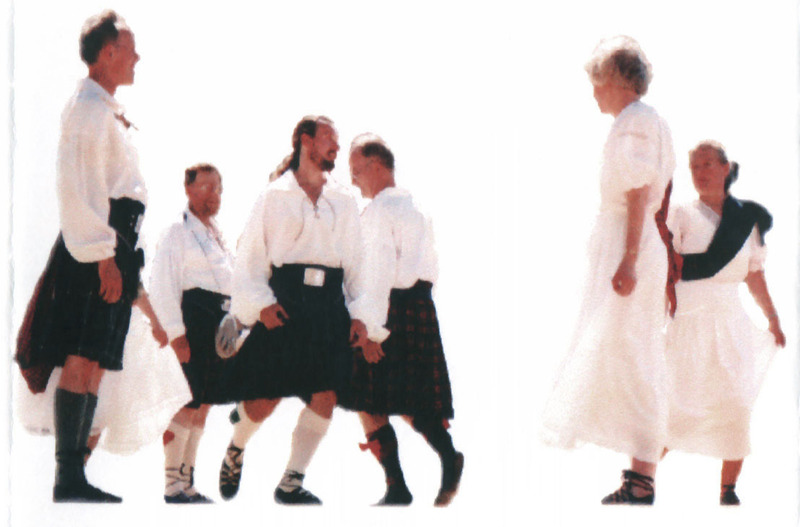 A range of ways of wearing the kilt, from extremely informal to extremely formal. The garment above is often part of military uniforms and is called the Military or Kenmore doublet, a somewhat similar form is called the Sherrifmuir doublet. This jacket is known as the 'Prince Charlie'. The garment in this image below is known as the Montrose doublet, and is worn with the jabot, which includes lace tied around the neck and falling in front. The jabot may also be worn with the other forms of the doublet. 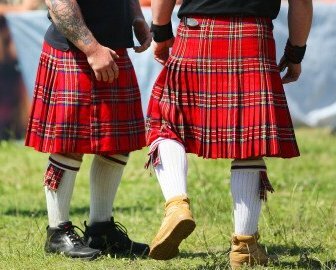 Tartans and kilts are popular in many former British Colonies as well, the English having sent the Scots off to colonize many places. 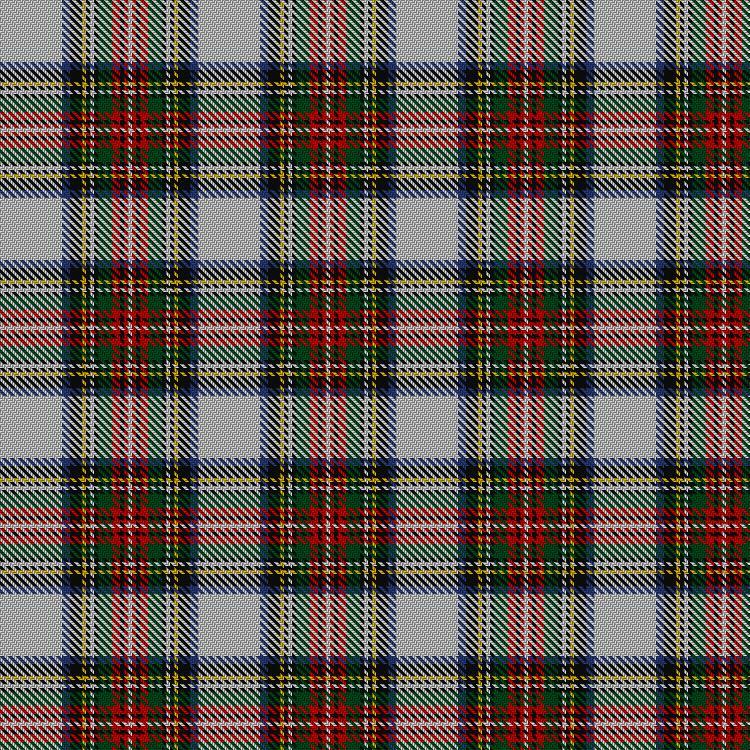 Here is the Canadian Maple Leaf tartan, with a link to a website which shows the tartans of Canada. 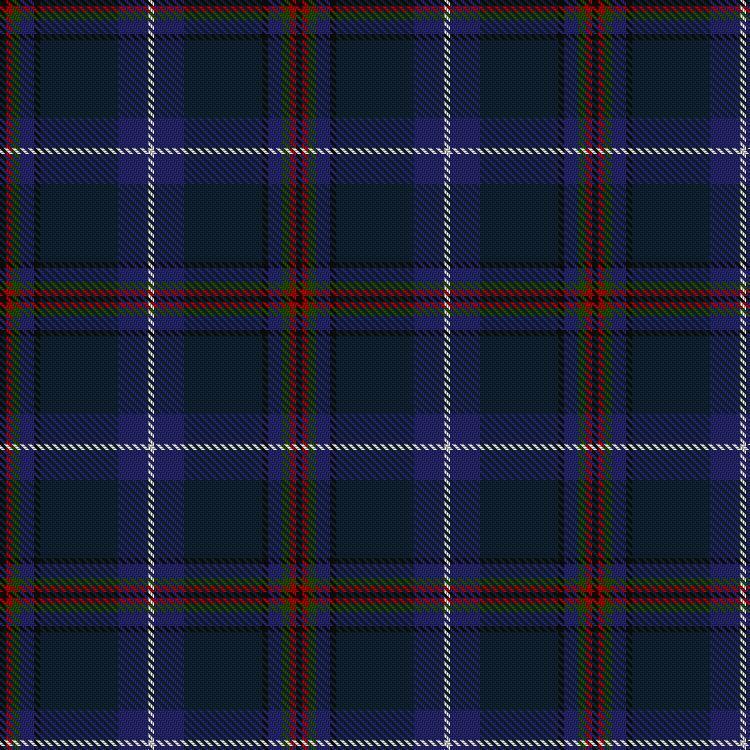 Here is the website of the official Scottish Register of Tartans, and you may look up whatever you wish. "It was made of sufficient length to reach from the neck to the ankles, and being nicely plaited all round, was fastened about the waist with a belt, and secured on the breast by a large brooch. The belt was of leather and several pieces of silver intermixed, giving it the semblance of a chain, and at the lower end was a piece of plate about eight inches long and three broad, curiously engraven, and ingeniously adorned with fine stones or pieces of red coral". There are two prints by McIan, showing his interpretation of this description. He shows the airisaid as being striped, but I suspect they may have been plaid as well. 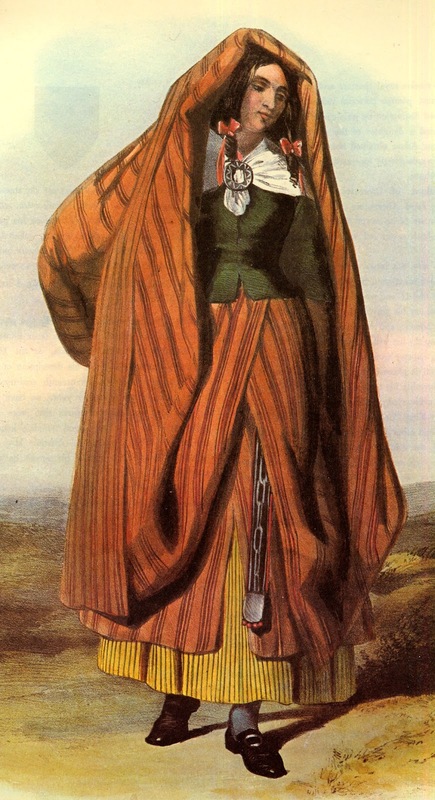 In any case, they were considered to be distinct from the man's kilt, as evidenced by the story of the lady of Lochalsh dressing her husband in one to help him escape his enemies. I disagree with McIans's interpretation of the belt, but these two prints are classic. A modern photograph of a woman wearing a reconstruction of the Airisaid. Here is a file which gives someone's reconstruction of how to wear the Airisaid. Thank you for reading, I hope that you have found this interesting. 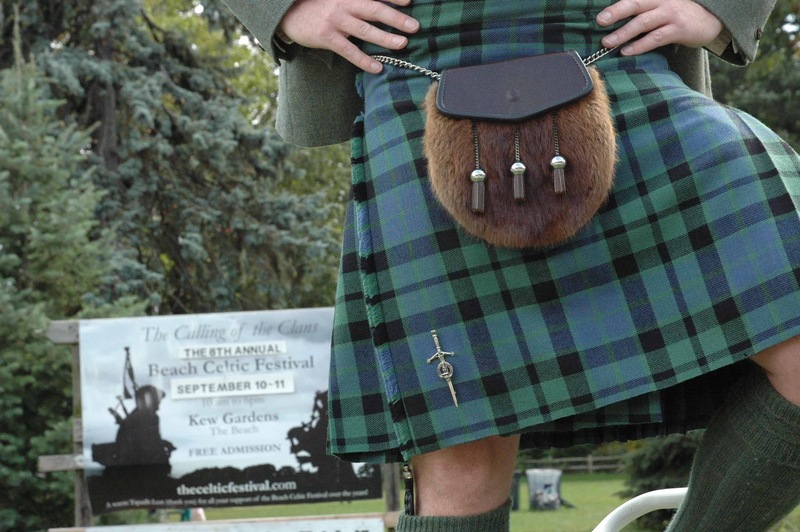 There are many makers and suppliers of kilts and highland attire and accessories online. Here is the link to one with which I have had dealings, and feel that I can reccomend. J Higgins, located in Kansas City. 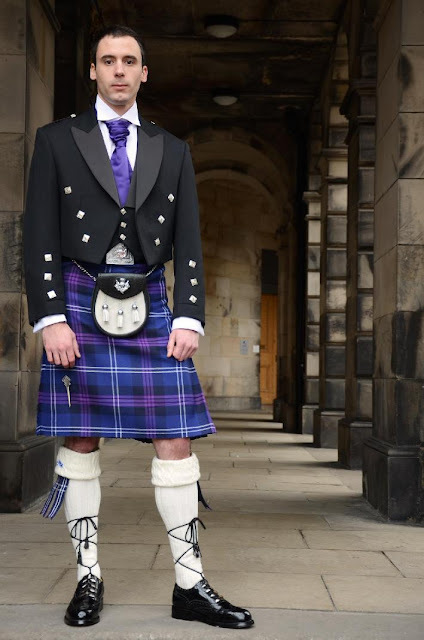 I hasten to add that there are many other reputable companies which deal in highland attire as well. J. Charles Thompson, 'So You're Going to Wear the Kilt', Edinburgh, 1979, reprinted several times in various places - an extremely practical and valuable resource. 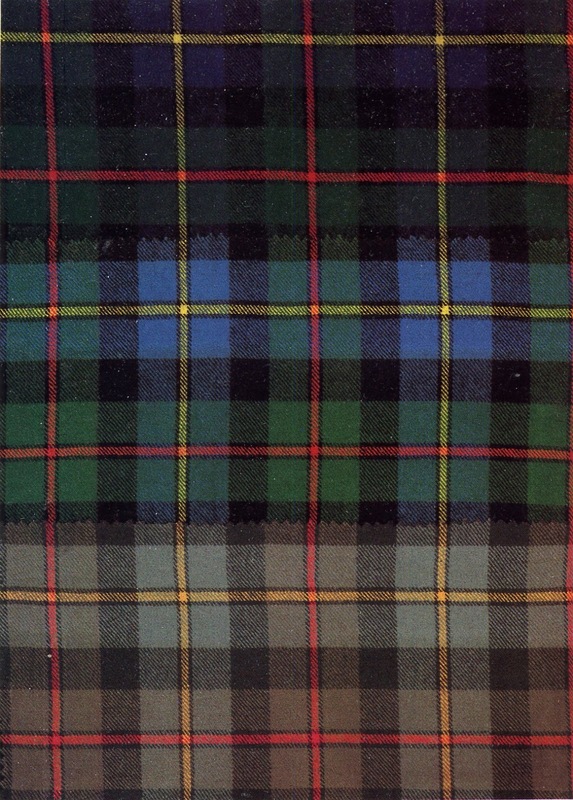 Thomas Innes and William Semple, 'The Scottish Tartans', Edinburgh, 1975 reprint. Very impressing post, thank you! Nice stuff! So you will make the skirts by order? Do you have a website to order from? I'm in Little Rock, Arkansas, USA. 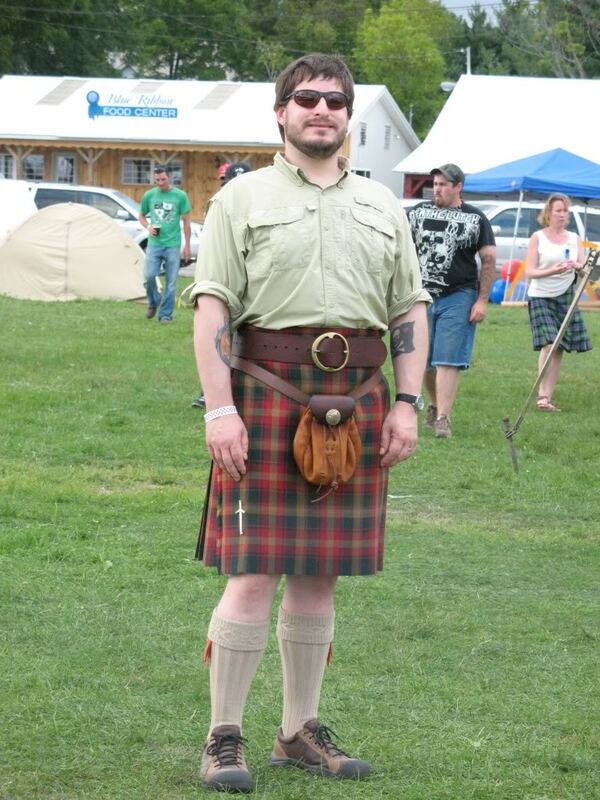 Many costumes I would be able to make, but a kilt requires a specialist. I do not have a website, I only make items to order. Still reading one or two of your posts daily, Roman. I am born and bred Scottish and very proud of my culture and heritage. My mother's maiden name is Murray - my grandfather came from the Scottish Borders. Very informative - thank you for writing this down! 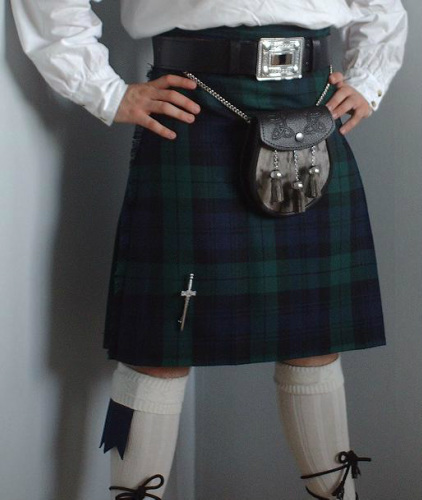 Great Thoughts we are offer for ladies kilt Get it for a reputable company Women and mens kilts jacket excellcent look like a handsome to waer it. Really great post i must say that!